In a few days, it will be Valentine’s Day. I’m sure a lot of people out there with significant others are now scrambling to find the perfect Hearts’ Day gift for the love of their lives, and I’m also quite certain that these people want only the best for their loved ones. I know because I’m one of those people. The only problem is I don’t have enough resources right now to buy what I deem is the ideal Valentine’s Day gift for my husband. The past holiday season has drained my wallet, and I’m only left with a few bucks to spare. Luckily for me, I found this website that gives discount and promo codes offering as much as 50% off on online purchases. All I did was click here for coupons and use the coupons, and I was able to save some money. That was all I needed to do to get a nice gift for my husband without spending too much. Just like me, everyone else can save money by taking advantage of coupons. A coupon is a document that offers discounts or rebates when you buy a product. Coupons are promotional tools used by manufacturers to create awareness for their products with the end purpose of increasing product sales. When you buy a product using coupons and you like the product, chances are you’ll buy the same product again with or without coupons. Where Do You Get Coupons? You can get coupons practically anywhere. Coupons are distributed through newspapers, magazines, mails, coupon envelopes, and the Internet. You can also get coupons directly from the manufacturer. 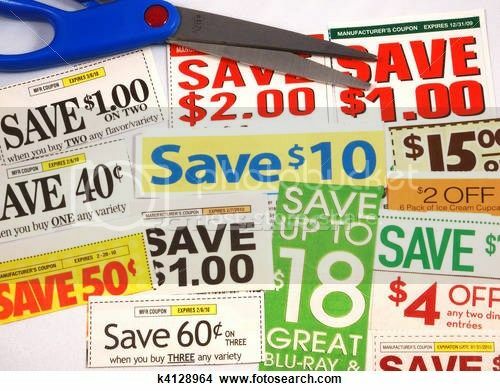 How Can You Maximize Your Savings Using Coupons? 1. Combine manufacturer coupons with store coupons. 2. Match manufacturer coupons with store sales. 3. Match manufacturer coupons with store rebates. 4. Match manufacturer coupons with other store promotional offers. 5. Shop at stores that double coupons. How to Organize Your Coupons? 1. Clip only the coupons that you actually need. 2. Sort coupons by products, expiration dates, etc. 3. Put your coupons in coupon file folders or coupon filing boxes. 5. Bring your coupons with you each time you shop. One of my New Year’s resolutions is to save money, and collecting coupons and using them when I shop is one way I can achieve this financial goal. I know now that coupons will save me a lot of money if I know how to use them to my advantage. This entry was posted in Coupons, Discount Codes, Discount Coupons. Bookmark the permalink. I love anything that would save me a few bucks!